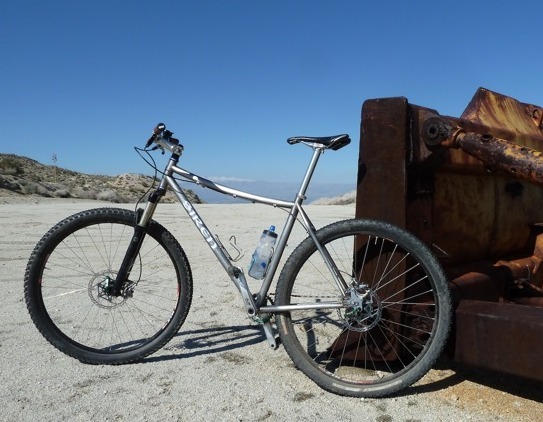 We’ve been attracted to Titanium as a build material for a while now, for its light weight, lively ride, and amazing durability. 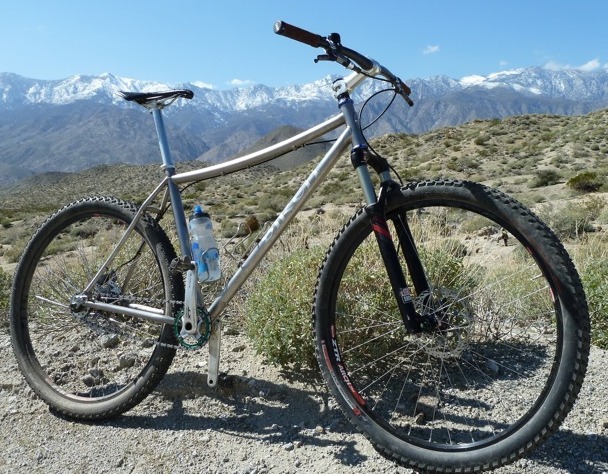 We can design, build, and tune a custom frame with the light weight of aluminum, and better durability than steel. Sinatra, as we’re calling Ti Siren #001, fruited from a seed planted many months ago, spurred on by some extensive ear-bending from some aerospace friends of ours. We’ve gained a lot of hard-earned knowledge along the way and enjoyed the process… and turned the Siren shop into a veritable laboratory. We’re especially proud of our very own proprietary hourglass stays, hand made in little ol’ Idyllwild, CA. Frames #002 and #003 are already in the works. 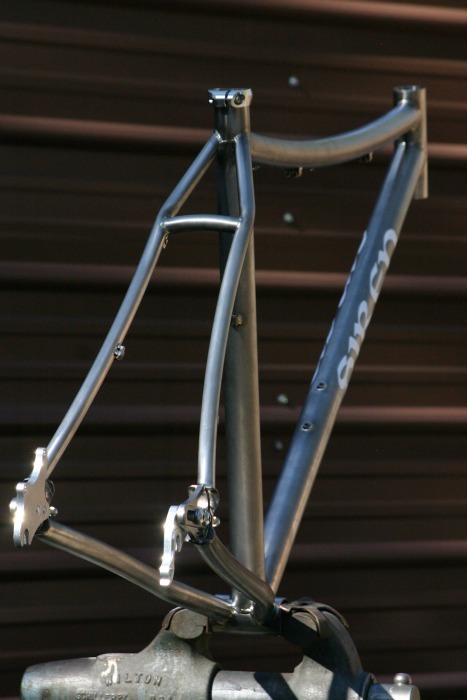 And our Ti frame is 100% USA made, in house. 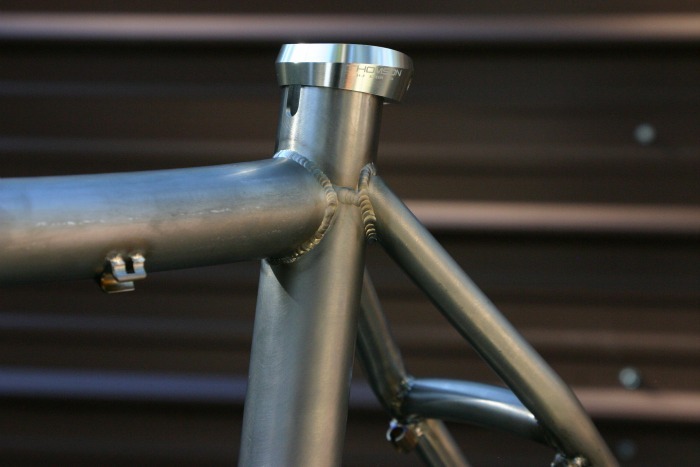 The raw tubing, the meticulously machined cable guides & dropouts… American made, mostly California. Even the cardboard box comes from the 31st state. I’ve come to believe this matters. I believe it’s good juju to ride a bike made by somebody you have a relationship with, moreover, I believe it’s great juju to ride a bike that helped support your own economy. There’s nothing like a custom bike. The more I see this bike the hotter it looks! Thanks guys! We’re working to make ’em even better. Brendan! Awesome stuff! Still riding a Ti-Kona on the trails myself, now riding a Ti-LeMond on the roads. Someday in the distant future I’ll look forwards to a custom model from you… There’s something about handmade metal that carbon fiber just doesn’t have. Hope you and Mary are well in IDY. I love how the top tube is designed. pretty much awesome!